South Braintree Dental Associates is a third generation dental practice located in Braintree, MA, founded in 1950 which has continually met the dental needs of Braintree families for the past 64 years. Our highly qualified dentists in Braintree, MA provide quality care.Our entire team is dedicated to providing you with the personalized, gentle care that you deserve. When you visit our office in Braintree, MA, your smile is our top priority. Part of our commitment to serving our patients in Braintree, MA includes providing information that helps them to make more informed decisions about their oral health needs. This website is a resource we hope you’ll find both useful and interesting. We are pleased to offer our Braintree, MA patients CEREC™ restoration services - a superior method of creating precisely-designed, color-matched and highly durable ceramic restorations right in our practice. From full crowns to veneers, CEREC™ delivers the results you need in a single appointment. With this modern technology you can have a crown fabricated and permanently placed in one visit. The cutting edge technology eliminates impressions, temporaries, second appointments, and waiting for the permanent restoration. Call is today to learn more about same day crowns in Braintree, MA. New Patients are welcome and we treat children. Contact us today in Braintree, MA! Dr. Richard Baker and Dr. Andrew Baker are dedicated to excellence in general and cosmetic dentistry located in Braintree, MA. 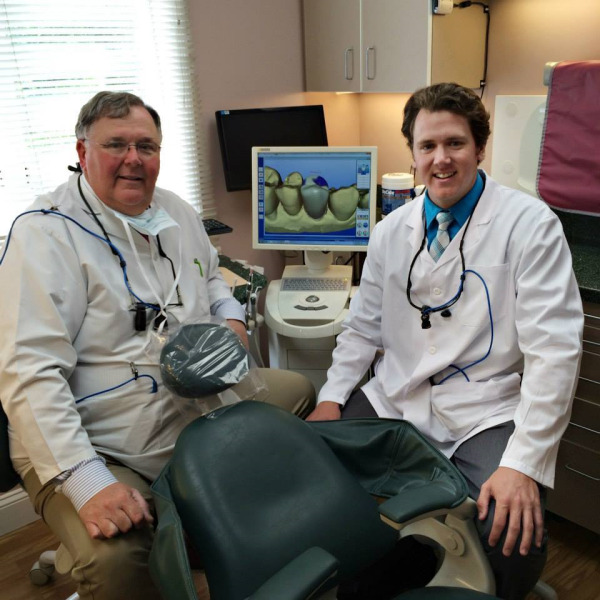 Braintree dentists Richard and Andrew Baker specialize in cosmetic and restorative dentistry such as teeth whitening, crowns, fixed bridges, root canal therapy and porcelain veneers. Dr. Richard Baker is dedicated to excellence in general and cosmetic dentistry located in Braintree, MA. Braintree dentist Richard Baker specializes in cosmetic and restorative dentistry such as teeth whitening, crowns, fixed bridges, root canal therapy and porcelain veneers.